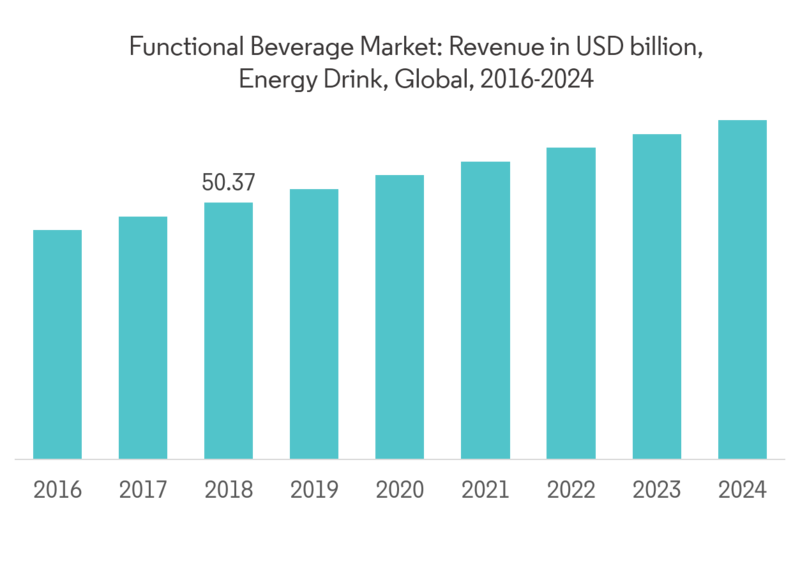 Global Functional Beverage Market is segmented by Product (Energy Drink, Fortified Juice, Sports Drinks, Dairy and Dairy Alternative Drinks and others), Sales Channel (Supermarket/Hypermarket, Pharmacy, Health Stores, Convenience Stores, Internet Retailing and Others). The global functional beverage market is projected to reach USD 208.13 billion by 2024. 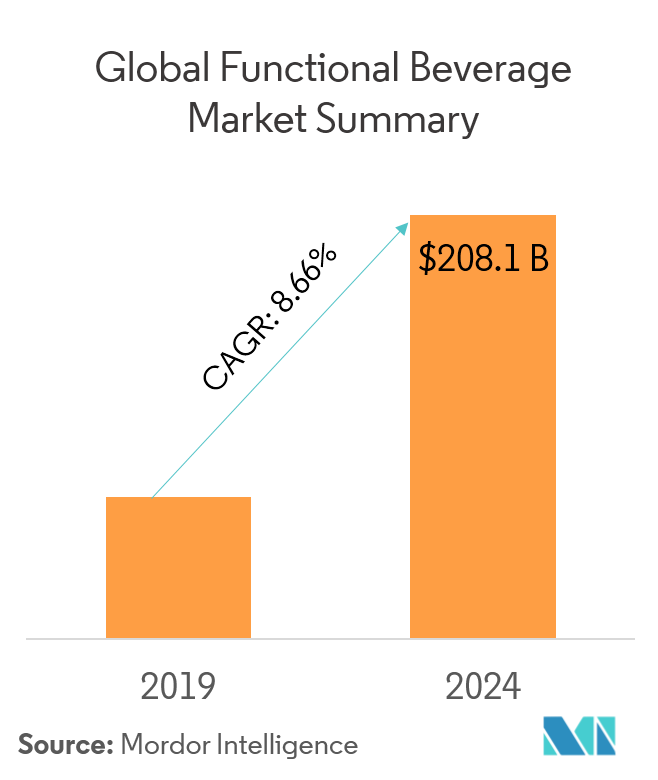 It is forecasted to witness a CAGR of 8.66% during the forecast period (2019-2024).Global functional beverage consumption is driven by the consumer’s inclination toward non-alcoholic beverages. Consumers have started to prefer functional drinks over fruit juices and carbonated drinks. Manufacturers are embracing innovation for gaining position in the market. One of the major advantages of functional beverage is that consumers are ready to pay a premium for its various functional advantages. 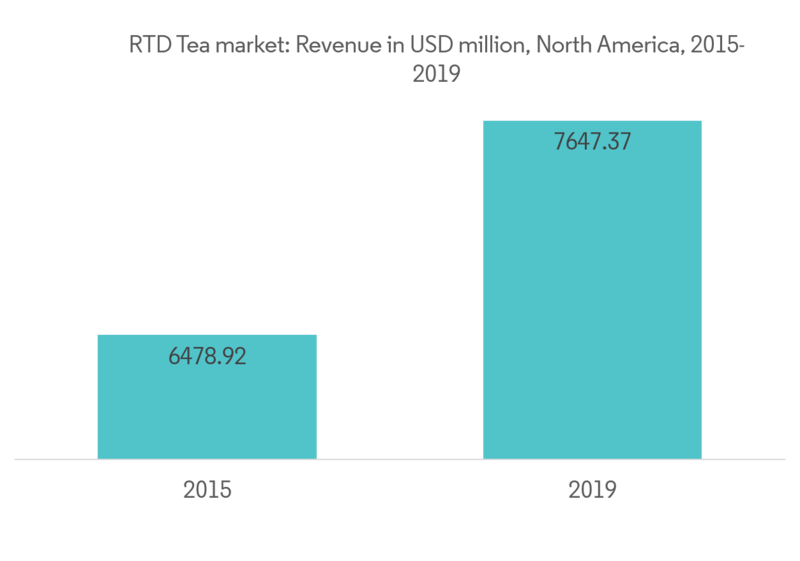 Functional beverage market includes energy drinks, fortified juice, sports drinks, dairy and dairy alternative drinks, and others, which includes enhanced water, ready-to-drink (RTD) tea, and coffee. By sales channel, the market is segmented into supermarket/ hypermarket, health stores, convenience stores, internet retailing, and others. Healthy hydration refers to the ability of functional beverages, like RTD tea, to provide instant refreshment and mild stimulating benefits that are not considered detrimental, which is otherwise the case with coffee. Thus consumers are developing an affinity for functional beverages, due to its ready-to-drink version that offers enhanced convenience, thereby providing suitable, convenient, and healthy alternative to soft drinks. The organoleptic versatility associated with RTD tea makes it open to manufacturers to innovate alongside the healthy trends that have been resonating more prominently in the North American market.RTD tea and enhanced water are witnessing growing popularity among consumers all around the world, as a result of which the demand for functional beverages is growing. The energy drink market has grown phenomenally in the recent years. These drinks are believed to enhance energy levels, physical alertness, and performance. Energy drinks outperformed the growth of conventional carbonated beverages a long time ago, as they are considered healthy substitutes to sugary carbonated drinks. Energy drinks originated in Japan in the 1960s, to help the working class work for long hours. The drinks then made their way to America in 1997 and are presently gaining traction in developing countries, like India and Brazil. The main constituents of energy drinks are vitamins, minerals, natural ingredients (caffeine, guarana, ginseng), amino acids, and antioxidants. About 31% of the 12-17 year-olds and 34% of the 18-24 year-olds are reported to consume energy drinks regularly. Popular energy drinks include Monster Energy, Red Bull, and Rockstar. Pepsi and Coke dominate the functional beverage market,whereas Monster beverage is witnessing a jump in its share in the market. The growth of a company in the functional beverage industry in future depends on their distribution channel and innovation in their product list with lucrative packaging style.The major companies are located in all regions and the major countries of those regions. However, the players are expanding into countries they currently do not have presence. 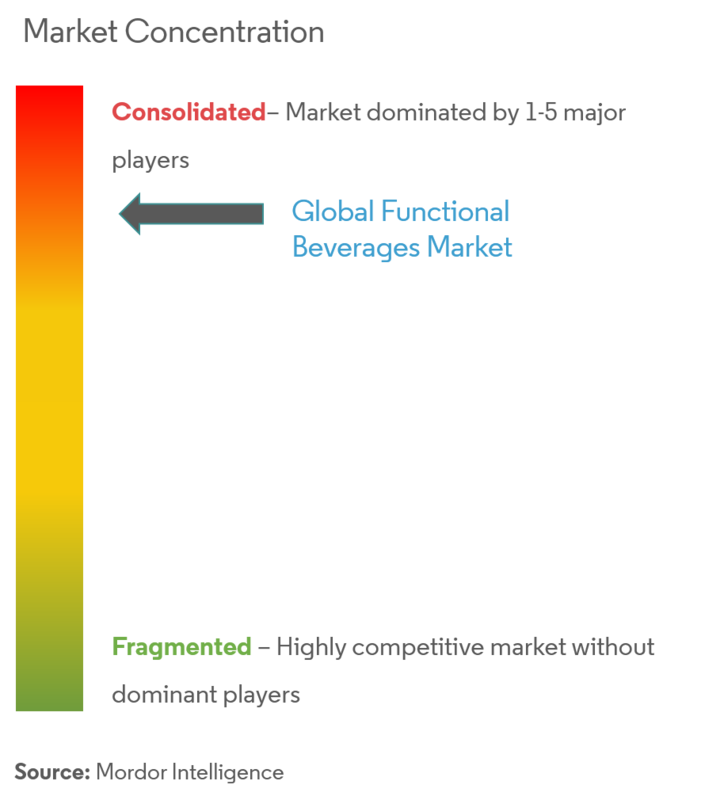 The most active companies in the functional beverage market include PepsiCo, followed by Suntory Holdings, Fonterra, Nestle, Danone, Coco Cola, and Glanbia PLC.